In his most recent Annual Report to SA Parliament, Acting Police Ombudsman, Michael Grant, devoted more than two pages to a deplorable culture within the SA Firearms Branch which seems to be tolerated all the way up the chain, to the Chief Commissioner. His report reveals incompetence, arrogance and contempt for licenced shooters who have done nothing wrong. His report relates to the same registry which tried to put a stop to the .338 Lapau, lobbied its minister for a blanket ban on all lever actions – rifles and shotguns, and decided to change the rules on whether shooters should get second PTAs (click here to read the story by Sporting Shooter Magazine). It also backs our growing view that we need to have a serious look at the qualifications and experience of those responsible for firearms policy and the management of our registries. 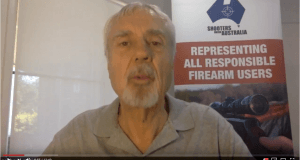 Over-zealous enforcement of the Firearms Act. 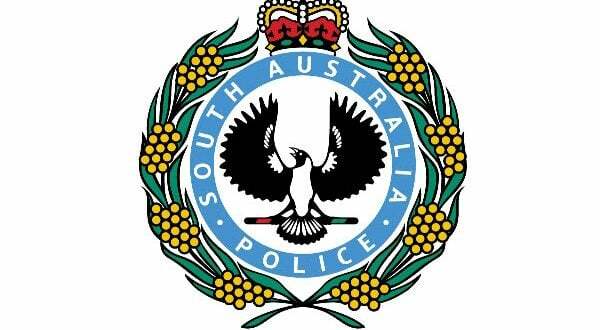 I have received a number of complaints concerning the operations of the Firearms Branch of the SA Police in my tenure as the Acting Police Ombudsman relating to the way in which the Firearms Branch enforces the Act and deals with the public who hold firearms licences and who own firearms. The oft-cited mantra is that firearms ownership is a privilege, not a right. However, the same mantra might apply equally to the driving of a motor vehicle on a public road. I make the observation that the ownership of firearms is a “right” by virtue of the Firearms Act if one is the holder of a valid firearms licence. That right may be removed by administrative action, but such administrative action should not be in any way capricious and should be validly and lawfully exercised. The complaints I have received in the main have related to the delays which occur in dealing with the Firearms Branch, and the perceived lack of any sense of dealing with matters in a timely fashion. The complaints included what appeared to be an ingrained habit of the Branch in either ignoring correspondence completely, or purporting to answer only after several letters have been sent on the same topic and several months have passed. At one stage I was informed by the Firearms Branch, following a complaint, of a reorganisation which would supposedly lead to better customer service. This does not appear to me to have occurred. It is also apparent to me that the culture at the Firearms Branch is one of “zero tolerance” when it comes to any infringement of the Firearms Act, however minor or inconsequential. It seems to me, that in cases of inadvertent minor offending by a member of the public with no history of previous offending, the use of a “caution” would be a better option than a prosecution for a criminal offence. The complainant, the holder of a firearms licence and the owner of firearms was visited by police from the Firearms Branch, ostensibly for the purpose of a “random” audit. However, the real reason for the visit was the belief on the part of a supervisor within the Firearms Branch that the complainant had made some kind of threat against the RSPCA. That belief was without any foundation in fact. The officers attending made a vague reference to someone thinking that the complainant could pose a threat, and said that they would seize the complainant’s firearms for “safe keeping.” They also issued a “caution” to the complainant, on the basis that 3 of the firearms seized were not properly secured. When the police who issued the caution reported what they had done to their supervisor at the Firearms Branch they were ordered to return and inform the complainant that he would be reported for a breach of the Firearms Act in that his firearms were not properly secured. As a part of that process of reporting the complainant for a criminal offence, they took a “swab” from him to obtain a sample of his DNA. 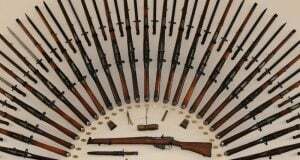 It was discovered later that the complainant’s method of storing his firearms (in a stone cellar secured by a solid wooden door with handguns locked in a steel safe) had been deemed sufficient some years earlier by members of the Firearms Branch. The charges laid against the complainant were ultimately discontinued and his firearms returned, but not until a year later. As regards the DNA “swab” taken from the complainant, a disturbing sequence of events followed. About a month after the initial swab was taken, the supervisor at the Firearms Branch learned that the warning required by law to be delivered to the complainant prior to the taking of the swab had not been delivered by the reporting officers. It was feared by the supervisor that this would make the taking (and continued retention) of the swab possibly unlawful. He decided that another swab should be obtained. Firearms Branch staff were then directed to obtain another sample. Those staff then went to the complainant’s home and ordered him to attend at a police station so that another sample could be taken. Not surprisingly, the complainant declined to attend as he questioned the legality of the police conduct to that time. The police responded by applying for a warrant which would permit them to take the complainant to a police station and obtain a DNA sample. By accident, the police applying for the warrant applied for the wrong type of warrant. A warrant of apprehension to appear before a court was issued instead. The complainant was arrested on that warrant and placed in police cells. When he protested, he was finally released after six hours in custody. This did not deter the Firearms Branch. Some eight months after his arrest on the wrongfully issued warrant, the complainant was directed to attend at the Elizabeth police station for the purpose of the taking of a further DNA sample. Two weeks after that preparations were in hand to obtain another warrant, this time the correct one, which would have seen the complainant again arrested and taken to a police station for the forcible taking of a DNA sample which had already been taken upon his arrest one year earlier. Before the warrant was applied for police prosecutors discontinued the charges against the complainant, on the basis that there was no reasonable prospect of proving the offence charged. The plan to obtain a further DNA sample was then abandoned. It is not unfair in my view to describe what happened to the complainant in this case as a debacle. The situation regarding the DNA sample is an example of a lack of common sense and a lack of judgment, even ignoring the application to a court for the wrong type of warrant and the subsequent detention in the police cells of the complainant. The DNA sample was in no way connected with proof of the commission of any offence. It was required only for storage within the police database. firearms being stored in precisely the same way. 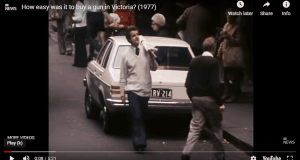 If the view of those within the Firearms Branch had changed since that time, then common sense and fairness demanded that the complainant be “cautioned” and given the opportunity to comply with a different regime. so in a short period of time. The complainant complained that he had been reported for a breach of the Firearms Act in that he had possession without an appropriate licence, of a “prescribed” firearm, namely a firearm which had been “cut down” and reduced in length. attempted to commit suicide. His parents, following that attempt, became aware of the firearm and asked the complainant, whom they knew had a firearms licence, whether he would take possession of the firearm for safety’s sake. The complainant collected the firearm and locked it in his safe. He then contacted the Firearms Branch on the telephone and was told to take the firearm to his local police station. He then attempted unsuccessfully to contact his local police station at Two Wells. He then contacted the police at Elizabeth. Eventually a sergeant from Golden Grove attended at his home and purported to “seize” the firearm from him. A month later a member of the Firearms Branch came to his home and “reported” the complainant for being in possession of a prescribed firearm without a licence -a major indictable serious offence punishable by up to 10 years in prison. As part of the process of “reporting” the complainant a “swab” of his DNA was taken from him. The complainant complained on the basis that he believed he had been victimised for attempting to help the police in circumstances where he thought he was doing the right thing by securing the firearm after its owner suffered a “mental health” incident. I conducted my own inquiry into the complaint, and for that purpose spoke with the officer concerned and with a senior officer at the Firearms Branch. I was satisfied that the officer dealing with the complainant behaved in a courteous fashion and indeed recommended that no action be taken against the complainant when he submitted his report. However, the complainant was treated as a person who had committed a very serious criminal offence, including the taking from him of a sample of his DNA. In my view ordinary common sense should have applied and it did not. I asked a senior officer within the Firearms Branch whether a hypothetical firearms dealer, to whom the firearm had been surrendered, and who had no licence to deal in prescribed firearms, would have been reported for an offence in similar circumstances. The answer was that the dealer would not have been reported, even though, technically speaking he had committed an offence. It was conceded that there was no difference in principle between the hypothetical dealer and the complainant. I found no fault with an individual officer. I recommended that Firearms Branch practices and procedures be updated to make it clear that a member of the public, regardless of whether he or she held a firearms licence, should not be treated as an offender when, acting in good faith, he or she informs police of their possession of a firearm they wish to surrender. I recommended that a similar update be made to the SA Police General Orders.